Apron reads "Santa's Little Helper"
What would Santa ever do without his little helper? She tests out all of Santa's cookies and makes sure the cocoa is sweet enough. She helps the elves wrap presents for all the good little girls and boys. She feeds and takes care of the reindeer (and sneaks them extra treats). And she even irons all of Santa's jolly red suits. It is safe to say that this Santa's Little helper makes life at the North Pole a whole lot easier. And now she’s going to be all prepared for all the Christmas festivities by wearing this Girls Santa's Little Helper Costume! But to make sure it’s up to Jolly Old Nick’s standards, it’ll be best to test out the costume on Halloween. Just think about all those sweets and treats she’ll get for the reindeer! 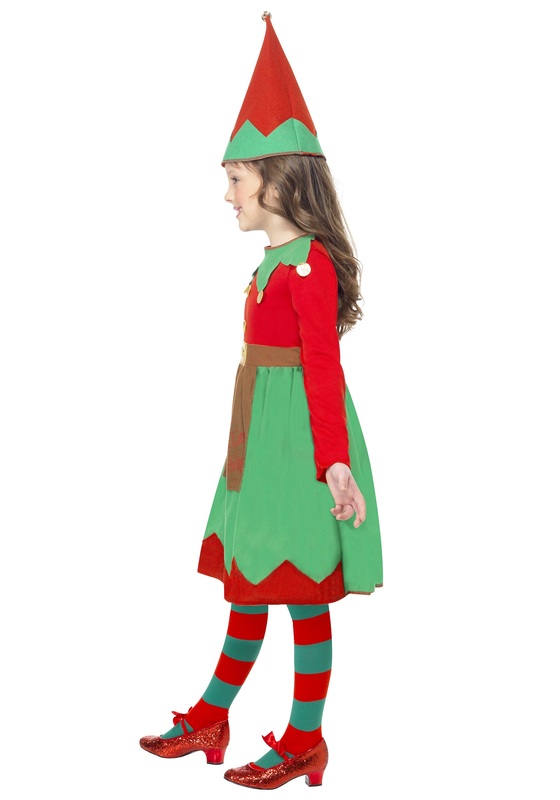 The holiday red and Christmas green costume looks just like an elf dress with its pointy collar and zigzag hem decoration. The long sleeves will keep her warm on Halloween and at Christmas time. It has a cute little attached belt and apron to help her skirt stay clean while she’s working. 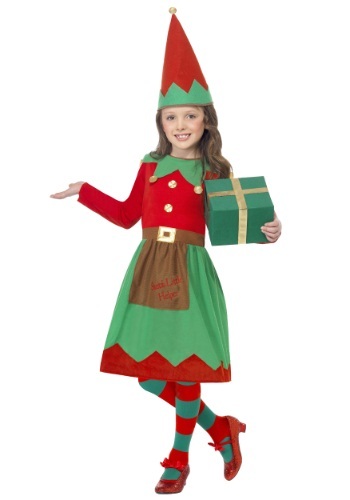 The reads “Santa’s Little Helper” in red, just to make sure everybody knows her important job at the North Pole. 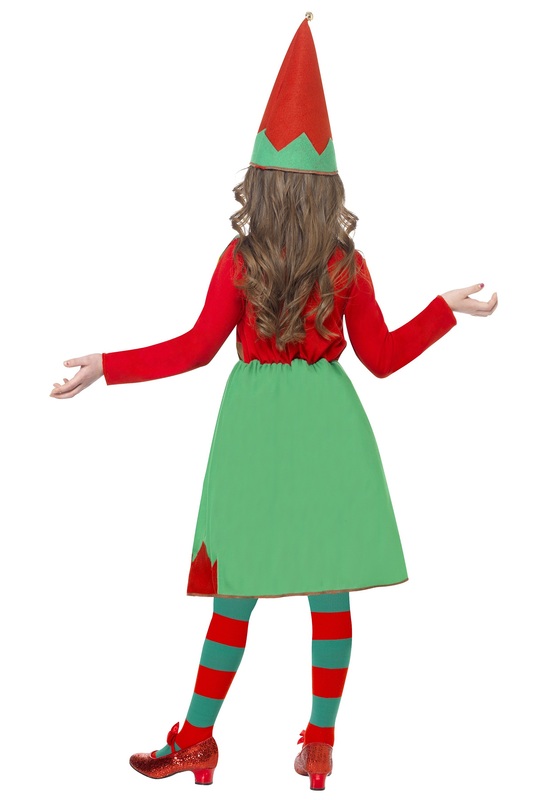 And there’s the perfectly pointed elf hat in matching red and green with a gold decoration at the top. And you know what’s going to complete the costume perfectly? Some red and green striped socks, some festive shoes and a bright and happy smile!